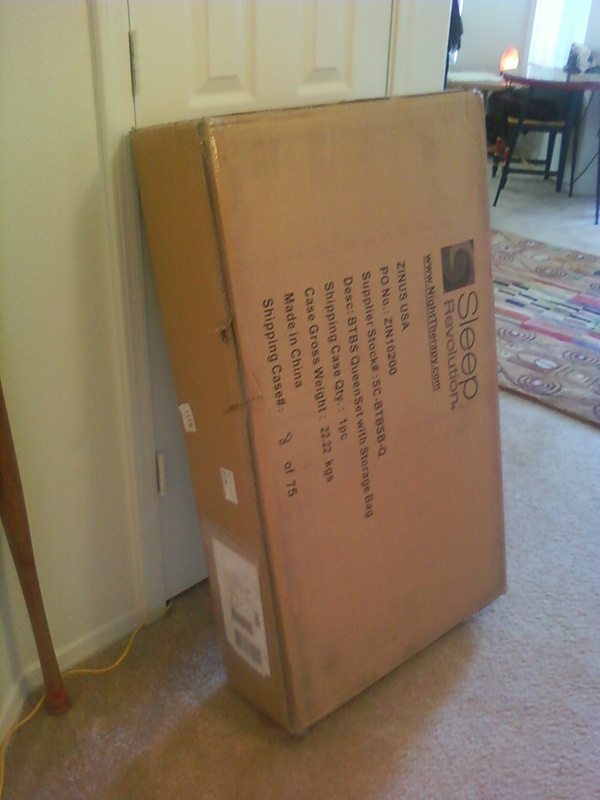 So my first big purchase for the apartment other than the used couch from Finland is a bed. I go to IKEA, several random mattress slingers and finally settle on using Sam’s Club online because they say they will deliver for no extra charge to my third floor apartment while everyone else wants at least $65 and some as high as $110. I actually struggle over the descriptions because one sounds much nicer than the other and is less expensive but in the end I go with the one that says, MADE IN THE USA all over it and touts its “natural-based ingredients which support environmental sustainability”. Side note: You can’t make this chit up. Anywho, I get the box today and I think I must have gotten someone else’s order because it clearly says MADE IN CHINA on the box. So I go back to the website and double check. Yes, I ordered the Aerus – as advertised Made in USA. NOT the Night Therapy mattress as advertised Made in China. The box also says……….you guessed it – Aerus by Night Therapy. What's a red-blooded gal who wants to buy American supposed to do?